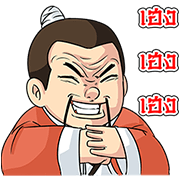 http://www.line-stickers.com/ – Legend of the Dragon: Exclusive Set Line Sticker | Legend of the Dragon brings a whole new lair of fun to the table! Use LINE Pay to make purchases at your favorite stores to get these hot new stickers for free. Talk about scaling up! Available till August 11, 2015.